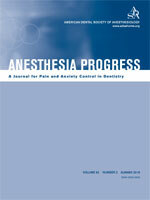 PROCEEDINGS OF THE BIOLOGICAL SOCIETY OF WASH.
Anesthesia Progress is a peer-reviewed journal dedicated to providing a better understanding of the advances being made in the art and science of pain and anxiety control in dentistry. It is intended for dentists, residents, students, and other health professionals and nurse anesthetists interested in dental anesthesiology. 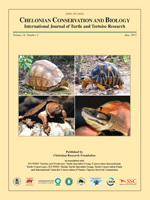 Chelonian Conservation and Biology is a peer-reviewed scientific international journal of turtle and tortoise research. Its objective is to share any aspects of research on turtles and tortoises. Of special interest are articles dealing with conservation biology, systematic relationships, chelonian diversity, geographic distribution, natural history, ecology, reproduction, morphology and natural variation, population status, husbandry, community conservation initiatives, and human exploitation or conservation management issues. 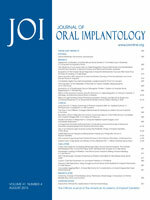 The Journal of Oral Implantology is the official publication of the American Academy of Implant Dentistry. The principal aim of JOI is directed toward bringing information of interest to scientists, clinicians, laboratory owners and technicians, manufacturers, and educators. This typically includes scientific articles, original research, opinions and letters, new product information, brief technical communications, book and article reviews, and abstracts. Topics covered include implant basics, prosthetics, pharmaceuticals, the latest research in implantology, implant surgery, and advanced implant procedures. 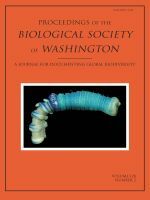 Proceedings of the Biological Society of Washington contains peer-reviewed papers that broadly bear on systematics in the biological sciences (botany, zoology, and paleontology), and notices of business transacted at Society meetings. Papers are published in English (except for Latin diagnoses/descriptions of plant taxa), with an Abstract in another language when appropriate.